The peace process and temporary ceasefire (declared only by Kurdish forces) seems to be broken in Turkey after the Suruc massacre. . I am opening this forum thread to report on developments related to social (ethnic) peace and conflict in Turkey and the position of state and Kurdish authorities on it. Also to follow its effects on social movements and political organisations in Turkey. The tensions were high especially before the election in 7th June (which resulted end of one-party rule of Akp of last 13 years, and with the rise of HDP - the Kurdish and leftists's party- above the electoral threshold. ) The government and especially the president Tayyip Erdogan was showing signs of stepping back from negotiations. There were even occasions of killed Kurdish guerrillas or attacks of cops over kurdish civilians and arrests in various events or demonstrations. Kurdish movement was dedicatedly not replying back with violence. Lastly after the Suruc Massacre, (and some retaliation attack by kurdish forces (HPG) against cops associated by IS and killing of one army officer) government acted fast and declared a campaign against terrorism and changed its foreign policy. Externally they started to support the coalition against IS. However they also started to bombing Quandil and other PKK camps. killing currently 4 guerrillas and injuring many civilians and guerrillas. The people in camps are supported by many kurds in turkey and seen as their legitimate self-defense force versus oppressors of Kurdish nation. Also -maybe more tragically- AKP government started an operation on paper against all terrorist organisations internally very fast. The list includes IS but also Kurdish organisations, DHKP-C (a Stalisnist revolutionary organisation), MLKP (associated to the SGDF who organised the trip to Suruc), TIKKO and many other smaller groups. in 3 days now the total arrests are about a thousand people. Most of these people are leftists and not Islamic militants. There is also a wave of arrest of civilians who are members of HDP in many cities and speeches by AKP and MHP (the nationalist movement party) about the need to close down the HDP. So basically, AKP government (even if we forget about the state practices of organised racism in Turkey) appears to push the state in a condition of a civil war, postponing maybe the hopes of a peace between Turks and Kurds indefinitely. The anger in the Kurdish cities is increasing with every killed guerilla or civilian and arbitrary police violence and the empty lies of Turkish government to make peace with them and let them live with honor. On the other hand Turkish society is unfortunately a fertile soil to grow hatred against the Kurds and Kurdish freedom movement by propaganda. This way AKP hopes to consolidate its power by exclude the legal Kurdish political organisations once again. HDP is trying to reply back on forming a peace block with socialist parties, CHP and NGOs. However the future looks very grim due to the shameless attacks of state forces. AKP's media just recently found that the metal strikes that happened last month before the elections were a conspiracy against the state. The worker's were acting "weird" (sriking for their rights and wages and stuff) possibly due to foreign influence . With operations 96 news sites were banned, some are Kurdish sources and some are leftist sources. Thanks for the K. You should set up a blog here on libcom, man. This is also bit interesting and a bit funny but explain a lot related to AKP's media (actually the mainstream media in general) and being a Kurdish person in Turkey today. 6 people were captured before they were about to attack a police station. "They were planning to make a bloodbath in police station"
The link below gives more info and says that: "They cried when they were captured"
Anyway today they were released. They were just some Kurdish kids who were coming back from a wedding in traditional Kurdish dresses. I am getting confused myself from all the news and links etc. I think we need a blog like the occupied london blog for the greece riots. Well I am in. I also used to operate such blog in Turkish for Greece riots myself (with friends of course). President Tayyip Erdogan: "HDP must pay the toll" The immunity of parlamento members must be taken away" (so they can be judged by court because of their speeches and actions) "The peace process can not continue"
The head prosecution office of Turkish repucblic (following Erdogan's lead) opened a case against HDP based on fake news appearing on AKP's media. Do they really go this road and close HDP? What will happen than? What is the position of CHP? This really looks like a coup. It looks to me as if the Turkish state has used the Suruc attack, which, on form, poses the possible involvement of Turkish intelligence, in order to have done with any “peace” deal with the Kurds and go on to a direct offensive in this imperialist war. The “new” situation seems to be indicated by the fact that just after the Suruc attack the PKK carried out the killing of two Turkish cops. I don’t think, at the moment at any rate, that Turkish forces are about to launch a serious assault against Isis but this is rather a fundamental realignment of Turkish/US interests in an attempt to override and put an end to the US/YPG coalition that has been steadily gaining ground (the latter has also been supported by German and British imperialism). Almost from the beginning of the war in Syria, Turkey has been actively supporting jihadi forces and their transit into the battlefronts. Isis commanders have openly been seen in the streets and resorts of Turkey. Halis Bayancuk, the reputed Isis leader in Turkey has just been arrested in Turkey – just as he was a year ago and then quietly released while the cop that detained him was sent to prison instead. US news agencies reported last night that there had been only one Turkish air assault on Isis positions while there have been numerous attacks against Kurdish targets, along with the general repression that always accompanies developments in imperialist war. Turkish attacks include those on PKK bases in Qandils, northern Iraq and Turkish tank attacks on YPG positions. Four years into the Syrian war and one year of the "Caliphate" and Isis seems to be getting stronger and more extensive. It could be that the relative success of the US/Kurdish military coalition has forced Turkey to move but it’s more likely to be the result of last month’s election where the opposition HDP took away the majority from Erdogan’s AKP. Thus the latter is attempting to whip up Turkish nationalism against that of Kurdish nationalism and its military “successes” which a new election could turn on. Turkey has opened serious talks with the US since the result of that election and the availability – not yet a done deal – of the Incirlik air base is an important element in the development of this imperialist war. The idea of a Turkish/Syrian buffer zone seems to have been accepted by the US and this will be to the detriment of Kurdish nationalism. All this manoeuvrings and Machiavellianism leaves the Kurdish forces in a bad place but being stitched up by the US and the west generally is nothing new in the hundred year old saga of the pious hopes of a Kurdish state. Just after World War One the Kurds, after sending a delegation to Versailles, were given a statelet with one hand that was rapidly taken away with the other. In the 1991 Iraq War, Britain and the US called on the Kurds to rise up against Saddam, herded into a “safe haven” and shot down by Iraqi helicopter gunships acting with express US permission. These are the sort of “morals” of imperialist war and they apply to all the actors involved in them – however big and however small. And this is just another twist in the growing expression of chaos and decomposition in the whole region. In the 1991 Iraq War, Britain and the US called on the Kurds to rise up against Saddam, herded into a “safe haven” and shot down by Iraqi helicopter gunships acting with express US permission. These are the sort of “morals” of imperialist war and they apply to all the actors involved in them – however big and however small. And this is just another twist in the growing expression of chaos and decomposition in the whole region. Let us not forget that at the same time, there was the uprising of the Kurdish Workers Councils. I read your account, fine. but you seem to very hastily connect Kurdish liberation movement with a state. It is true that there were and was Kurdish nationalist organisations in last century and today and they aimed for establishment of a Kurdish state based on Kurdish nationalism. Can you point me one proposal, demand or anything Kurdish liberation movement made in last ten years that calls for a state? Well of course you can always take the road that says you know "the true intentions of Kurdish movement etc..." but, well this road in my opinion is another way of avoiding engaging with anything, but just an aversion to get learn, analyse and ultimately maybe reach to a place where your dogmatic views might be a bit shaken. Another example from Turkey: In this latest speech by Demirtas (co-chair of HDP) he says that, if the President Tayyip erdoğan did not stoped the peace process PKK and Turkish army could be fighting against IS together now. You can of course check Ocalan's writing on subject, but I do not know what or where sth can be found in english on this topic. But google it, you will. Do you wanna see a party that is for Kurdish satate based on Kurdish nationalism: See this party: https://tr.wikipedia.org/wiki/K%C3%BCrdistan_%C3%96zg%C3%BCrl%C3%BCk_Partisi They in their programme aim for self-determination of kurds, this party is really small and it is in direct opposition to kurdish liberation movement. Let me conclude with some of my observations from my trip to Kurdistan and my town: Kurdish liberation movement has a huge basis most of it consist of culturally and socially (various) Kurdish groups. However as the existence as a Kurdish person is already politicized in Turkey, there are different lines of thought or different approaches. The main party line of Kurdish movement is for brotherhood and sisterhood of nations in Turkey and for a democratic reconstructing of Turkish state. (For example: I went to an anti-dam protest, a mother of killed guerrilla speak there; her speech was based on dirty politicians making Turks and kurds enemies just to make profit from the war.) However at the base of movement or among sympathizers you can find some micro nationalism or hatred against some other ethnicities, or some who thinks nationalism and state are the only solution but these individual ideas do not represent the current position at all (and they are results of personal histories and local contexts and I assure you all who have such ideas are people not directly connected to movement). So basically; It helps to first listen and then evaluate as in most issues, Kurdish movement ideologically oppose any separation and formation of a state since last decade. This is actually what must be seen as anti-imperialist itself (unlike Barzani crowd who follow anywhere USA is going) as it is opposed to chaos that is generated by self-interested approaches of imperialist powers to region (This I think also includes war politics of Turkey) One thing to keep in mind though, unlike FSA, Kurdish movement did not originate or depend upon Imperialist powers and they are determined to democratize the nation states (mostly politically but also economically) they are part of by appropriate means (elections, social movements or armed struggle) and still very bold on taking any necessary steps. If we forget that, I think our analysis can have wrong results. Balance-sheet of last days operations (21 – 28 July) in Turkey according to HR society. - People arrested and then released: total 1034 (36 are children). 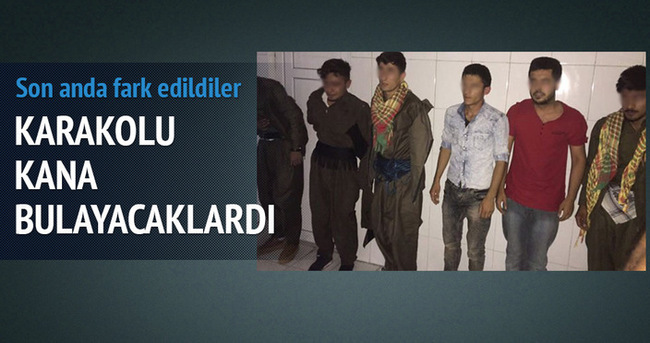 Charges: 140 Is member, 22 Fetullah movement, rest is PKK/KCK or other leftist groups. – Injured Cops/Jandarma: 1 cop is killed 11 injured, 3 solider is killed 7 soldier is injured. KCK: Either turkey will become democratic or Kurdish people will establish their self-government by their own power. EDIT: Also for a better representation of Kurdish movement: Kurdish movement still did not opened war to Turkish state. And PKK helds responsible (for attacks against security forces) individual groups at the base of movement who act according to their own will. And KCK calls for democratic opposition to War politics of AKP now. Though the violence and deaths increase still at the both sides. KCK representative Agit says: We can still go back to a peace process. Yeah, I see something like that. I will edit this when I found one. 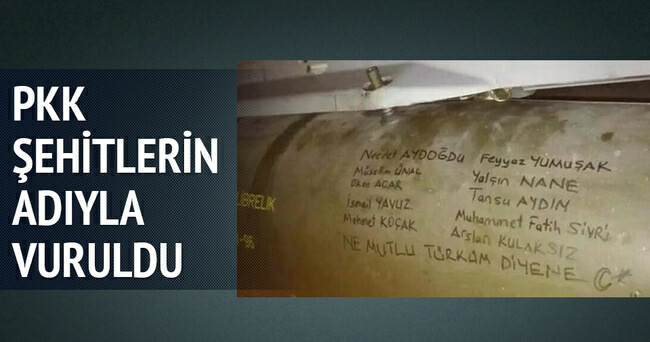 The name of the killed soldier's and cop's names were written over the bombs that are used to bomb Kurdish bases. In the first two days of the Turkish campaign it sent only a few planes to bomb Syria while there were 185 air missions against about 400 PKK targets. The recent clashes between kurds (armed and civilians) versus the cops and military continues, there are dozens of killed in each side. Anyway the link below is to a video where Turkish police forces invade a construction site and tie the hands of people (well nearly all of the construction workers especially the lowest paid ones are kurdish in Turkey) and force them to lie on the ground. Cops then insult and threat the kurdish workers. The officer who is doing the insulting can be heard saying: " You will see the power of Turks!" "The Kurdish people must wage all-out resistance against these attacks in all areas and demonstrate to the Turkish sate and the AKP government that the people of Silopi and Amed are not alone"
Gov. introduces "Temporary safe zones" in 8 provinces to ensure "peace & security"
There will be a memorial and solidarity event for the people killed in İzmir (and also in other localities I suppose at different times) Also this even tis to help families and injured for their health expenses. Anyway The cops arrested people who give flyers of this event in izmir. This is as far as I know the third time this week people are arrested for opening a stand for this event. Which is - I repeat- basically a concert to rise funds and respect the killed people in Suruc. Anyway the arrested people are currently released again. This is a bit old but I wanted to translate it anyway. As there were operations against the IS and leftist groups in turkey arresting like 1000 people. However as of 15th August now all IS militants who were arrested are released. There is hundreds of arrested people mainly from kurdish freedom movement though. In Silvan after the declaration of autonomy by Kurdish forces. (Though it is a bit complex but technically kurdish forces did not declared autonomy they more like declared they do not recognize the state institutions in the city as they are against the people living in the city, So it is as far as I understand not a total autonomy declaration, but let's call it for simplicity for now) State forces surrounded the city. The cell phone operators stopped working in the city. The HDP comitee was not allowed into the city. state of emergency declared. there is a ban on walking on the streetç. still There are reports of attacks to houses including plain machine gunning of homes. There is at least one death. As there is no way to get information from city there is danger of state terror going wild.